Why should insurance companies conduct a marathon run or a zumba dance event? At a time when insurance agents are becoming passé, especially among millennials, insurance companies are trying out different ways to reach out to youngsters and be relevant for them. 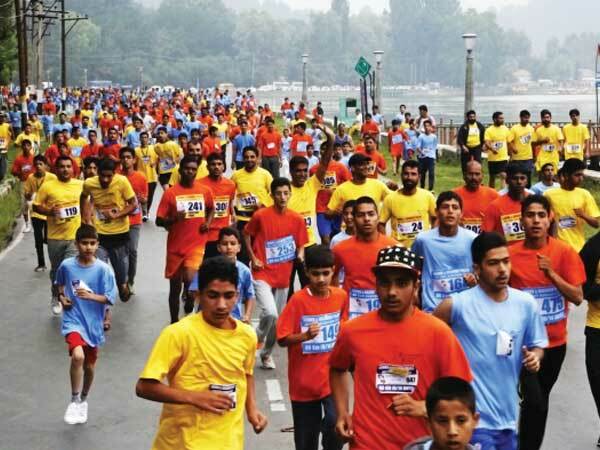 Max Life is conducting a marathon run in Gurugram and Haryana and it is one among the several fitness programmes like zumba, kickboxing and healthy food workshops the company has been conducting. Bagic4fitness was a campaign by Bajaj Allianz General Insurance encouraging audience to start a fitness activity and demonstrate to all. The company recently held a marathon and a helmet safety campaign in Pune. “The age of neighbourhood insurance agent has gone. In yesteryears, this agent would sell the right policy to the right customer in that community at the right time. Today insurance companies have to communicate to millennials who don’t even know who all live in the locality. We have to be present where they are that could be social media, fitness clubs or eco clubs. The marketing strategies are fast evolving to reach out to this group of population who are very important for our business,” said Manik Nangia, Chief Operations Officer, max life insurance. Millennials or those born after 1990 contribute to nearly 30 per cent of online term sales. They also choose a higher average cover or sum assured compared to non-millennials. The average sum assured of life policies bought by millennials is Rs 75 lakhs as against Rs 70 lakhs for non-millennials, found Max Life. Millennials also seem to be more aware of the risks to health and life in today’s world and their propensity to cover risks like critical illnesses, including cancer and heart disease through riders is higher than non-millennials. Around a third of life insurance policies bought by millennials have an add-on rider against one-fifth for non-millennials. These make millennials a customer segment that cannot be neglected. According to Nangia, millennials live in a world of apps that provide instant gratification. They expect the insurance companies and other financial services companies to provide the same speed and convenience offered by food tech apps or cab ride apps. They do not want to sit face-to-face with an insurance agent and hear him. Instead they would spend time on browsing internet content and going through virtually available reviews. Further, the on-boarding process should also be fast and hazzle-free. “Hence we do not bother them with filling several application forms and instead gather data from their digital identities and check their credit reports. We also remain connected with them and keep the policy a live document through initiatives, including offering of discounts for following a good life style and increasing cover at every milestone of his life,” said Nangia.